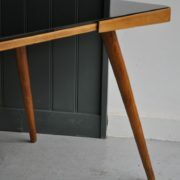 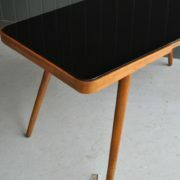 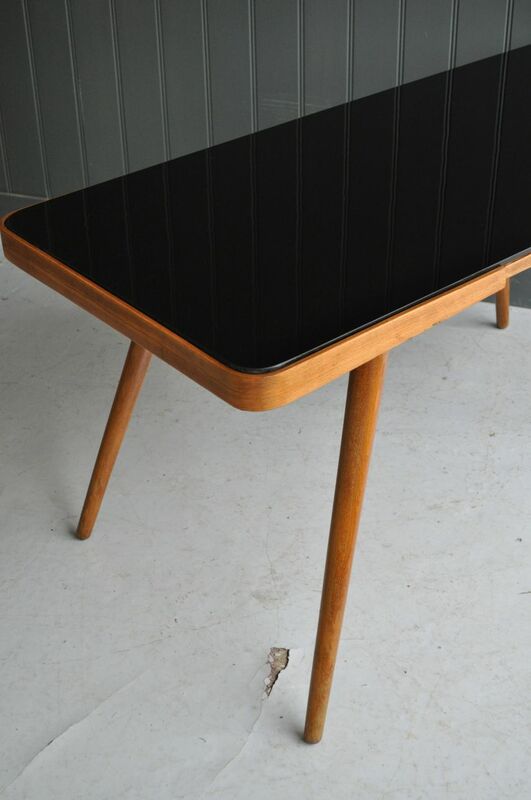 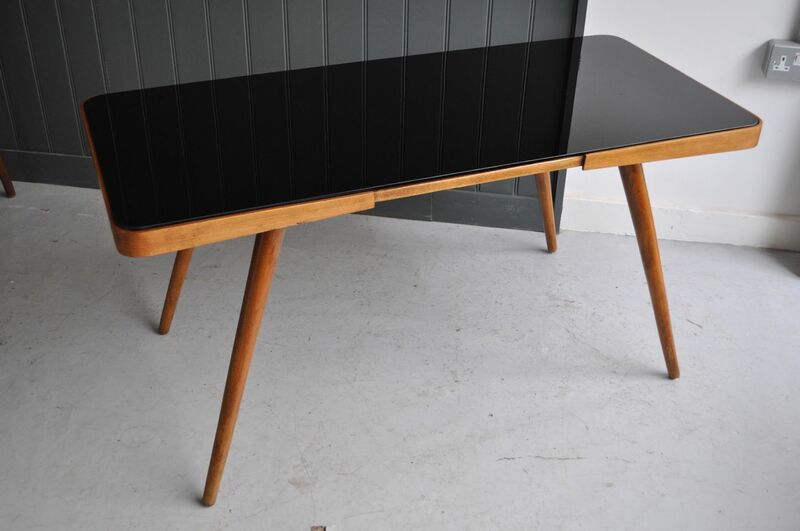 Czech mid-century side-table with original black vitrolite top supported on four tapering splayed beech legs. 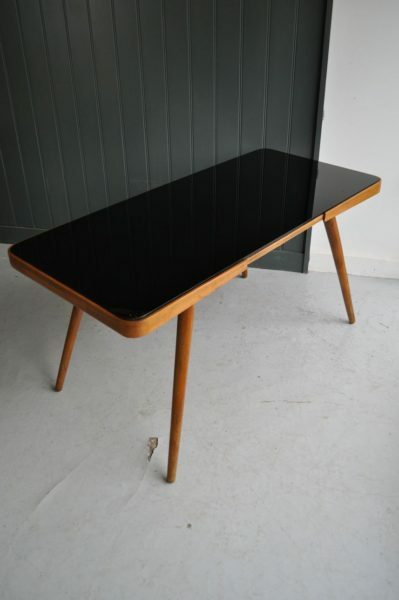 Good condition with minimal wear for age, and remnants of a maker's label to the underside. 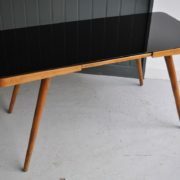 Somewhat tall for a coffee table, but a great height for a TV/HiFi, or your collection of succulents! 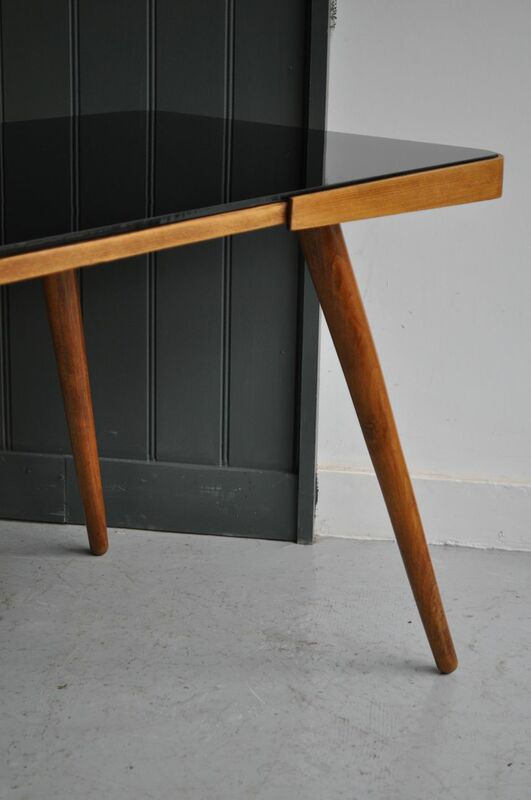 The legs can be unscrewed if needed for delivery.